The length of your reunion will depend on your family’s wishes and desires. 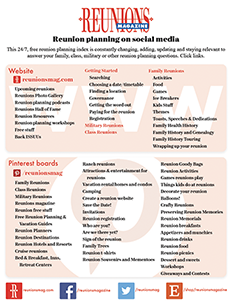 Over 70% of respondents to a study (by East Stroudsburg [PA] University/Reunions magazine) about family reunions reported that they devote two or more days to their reunion. Many family vacations are reunions or include reunions as a significant part of their plans. While many reunions are still a single day, more and more last from Friday through Sunday. Some families meet even longer. A whole week is not unusual. The three-day weekend reunion gives everyone a bit of a respite, a mini-vacation. There’s plenty of time for visiting, touring, enjoying sports and games, a banquet, cookout or picnic … or all of the above! If members travel any distance, a longer stay makes the effort worthwhile with plenty of time to visit and relax before the return journey. The occasion of cousins visiting from Italy generates week-long reunions of Nicolo and Felicia DePronio’s descendants in Toronto, Canada. The Amalio Rodriguez descendants from several Midwest states meet in Puerto Rico to celebrate the weeklong La Festa Patronales. Three generations of the Basirico Family Reunion convene annually for a week in various exciting places from mountains to beaches. Many families convene for one day annually. Annual reunions of immediate family — grandparents, their children, spouses and grandchildren — are opportunities for parents, siblings and cousins to spend time together. The Seideman Family Reunion draws in excess of 400 members from about two dozen states and up to three foreign countries annually to the family homestead near Newburg, Wisconsin. For a crowd that size an advance contingent spends up to three days before putting everything in place for extensive historical exhibits, registration and food/beer sales. 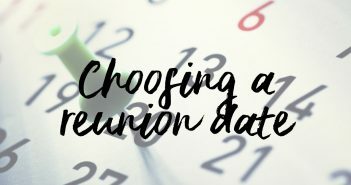 Other choices for reunion frequency, according to the above study, are 28.2% of families meet every two years and 10.4% every five years. Every two or more years gives everyone a chance to save for a great reunion vacation. Frequency is a serious consideration for the reunion organizer. One year passes quickly while two years may give you some extra breathing room. After organizing a reunion for 500, Carmen Turner, Key West, Florida, knew she needed a respite before taking on another Allen Family Reunion. Another family experienced so many funerals in a short time that at first they thought a reunion would be too expensive for everyone. But instead, they used the experience to count their blessings and meet even oftener. Lee Lybarger, Delaware, Ohio, helps with two family reunions. One insists upon meeting at the same place every year on the same July weekend. Attendance, according to Lybarger, is suffering. To increase attendance he suggested having the reunion every other year but they want no change and are stuck on their traditions. He also helps organize an every-other-year, one-day reunion where he’d like to increase reunion time for folks to get better acquainted. Persistent follow up now is the only way you’ll stay on schedule. Printing projects need ample production time to assure delivery before your reunion. If you don’t follow up now, you may need to skimp later on proofreading time and one last opportunity to catch a fatal editorial flaw (though that’s still a couple months off)! You also need adequate time to develop a catchy layout. Follow up will get you a more thorough response with enough time to produce a product you can be proud of delivered in plenty of time to be distributed at the reunion. 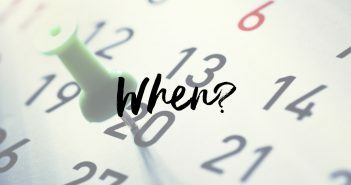 Be aware that if your directory or memory book is delivered too late for your reunion, you’ll also incur the cost of time and money for packing and shipping later. To secure those persons, events and activities, make reservations well in advance. If you have special programs or speakers that involve persons outside your family, you’ll want to know that they are available for you when you need them. Are you arranging a tour that requires some custom features of special importance to your family? A historian or guide to enhance your own family anecdotes? If these are all things you’re thinking about but have done nothing to assure, now is the time to get on it! Many plans and good intentions are stalled because the person, place or conveyance simply was not available. What they say about early birds, applies equally to reunions (without the worms). If you intend to have an essay contest for students in your family, announce it early and prepare students to think about the challenge. Many families provide scholarships to outstanding students, some even provide some help for all or many students. Edith Wagner is the editor of Reunions magazine, author of Reunions Workbook and The Family Reunion Sourcebook (Lowell House, Los Angeles).